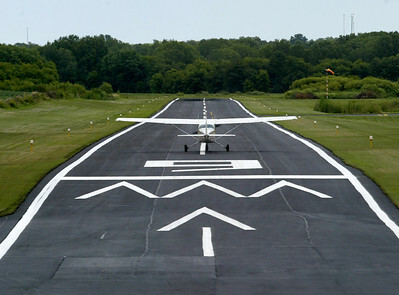 H. Rick Bamman -hbamman@shawmedia.com Claude and Diane Sonday of Bull Valley bought Galt Airport in June at a foreclosure auction and have been making improovements including sealing and marking the 2800 foot runway, taxiway and hanger aprons. 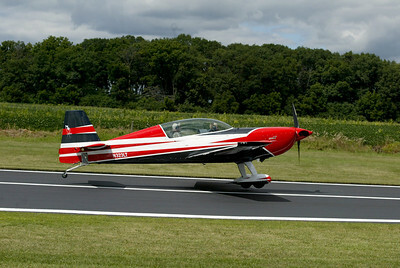 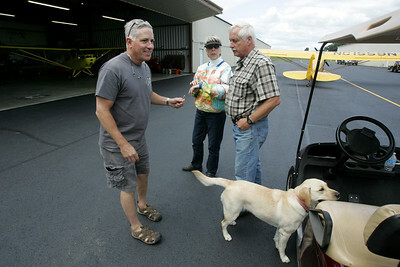 H. Rick Bamman -hbamman@shawmedia.com A student and pilot roll down the newly sealed and painted 2800 foot runway at Galt Airport in Greenwood. 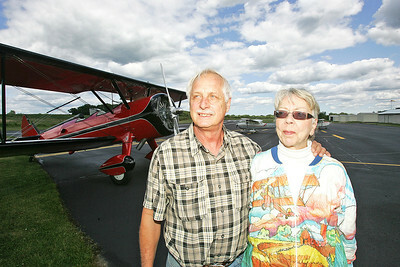 Claude and Diane Sonday of Bull Valley bought Galt Airport in June at a foreclosure auction. 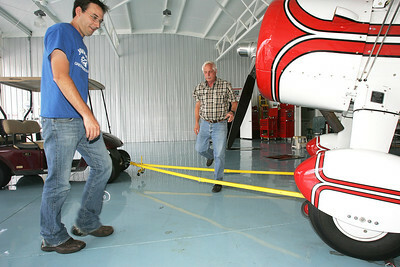 H. Rick Bamman -hbamman@shawmedia.com Galt Airport manager Justin Cleland (left) and owner Claude Sonday work to park a 1942 Boeing Stearman in one of the hangers. 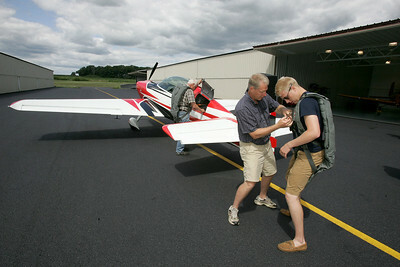 H. Rick Bamman -hbamman@shawmedia.com Galt Airport Director of Aircraft maintanance Brian Spiro returns from a hanger after checking on an equipment order for a customer. 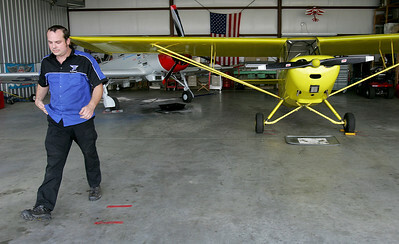 Galt Airport Director of Aircraft maintanance Brian Spiro returns from a hanger after checking on an equipment order for a customer.